(CBS News) CAIRO - Egypt is on a knife edge once again. The demonstrators are back in Tahrir Square and they say they're not going anywhere until somebody tells them who won the presidential election. Tens of thousands filled the square Wednesday night, and as many if not more are expected Thursday night. The election results were supposed to be announced Thursday, but the election commission said it needed more time to investigate complaints put forward by both candidates of vote-rigging and other irregularities. The Muslim Brotherhood's Mohammed Morsi and former Prime Minister Ahmed Shafiq both claim they won last weekend's vote. Independent observers have indicated that Morsi is the winner with 52 percent of the vote. Results are now expected to be announced over the weekend. But with each hour that goes by, the tension - and the anger - is mounting. Adding to the political uncertainty are questions over the health of former Egyptian President Hosni Mubarak. The 84-year-old was moved from a prison hospital to a more comfortable military hospital following unverified claims by state media that he was "clinically dead" or in a coma. But the real question may be why even now, days after the news broke, the government has yet to issue an official statement about it, and that has left many Egyptians with the feeling they're being lied to. 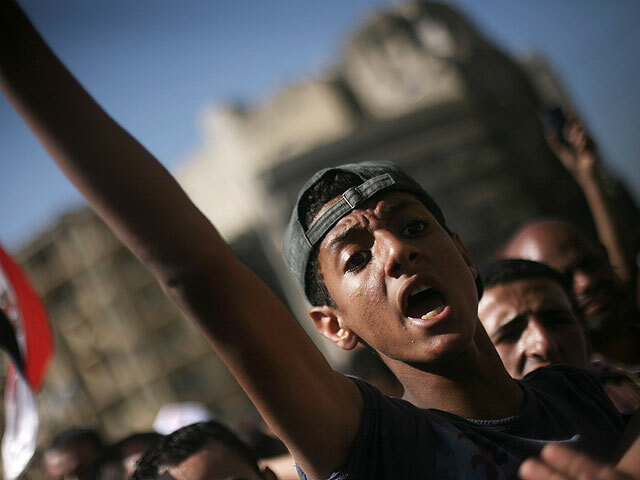 The Muslim Brotherhood beckoned supporters to Tahrir Square to protest what's seen as a power grab by the military in a pre-emptive strike even before the presidential elections are made public. If the Muslim Brotherhood has won the election, there are already doubts whether the military rulers will relinquish any real power after being sworn enemies for decades. Just hours after the polls closed in Sunday's election, the ruling military came out with a new a constitutional declaration giving itself sweeping powers and severely limiting those of the incoming president. They've already dissolved the parliament, and the new declaration grants the current military rulers powers to make laws, control the budget, and even appoint a panel to draft new constitution. U.S. Secretary of State Hillary Clinton called the actions of Egypt's military "clearly troubling," and said leaders have to fulfill their promise of handing power over to the elected president. "The military has to assume an appropriate role, which is not to try to interfere with, dominate or subvert the constitutional authority," she said. "They have to get a constitution written. There's a lot of work ahead of them." The Brotherhood has already warned that a win by Shafiq, regarded as a part of Mubarak's regime, would only be the result of vote rigging, and its supporters would take to the streets again in protest. What's clear is the military isn't going to give up power without a fight. What's equally clear is that the Muslim Brotherhood isn't going to either.